Day trading is a great career choice whether you’ve just graduated from college or you’re an entrepreneur looking for a career outside the mainstream. However, like any other business venture, day trading is not a stroll in the park. Due to the volatility of the stock market, prices can move in a matter of minutes, and you could gain or lose big time. So one needs extensive training, careful planning, great skills and the eye to see and act on opportunities when they arise before taking the plunge. Nathan Michaud is an accustomed and popular day trader in the online trading landscape. He began day trading as early as 2003 in his freshman year, but only on a part-time basis. However, after graduating with a degree in Finance from the University of New Hampshire, he started full-time trading. After realizing that he was overtrading and not making any profits, Nathan Michaud created InvestorsLive.com, a blog that is dedicated to explaining the trades he took, the reasons why he took them and to point out the stocks to watch the next trading day. Nathan Michaud then founded Investors Underground in 2008. Investors Underground is the biggest live, real-time trading chat room online that harbors investors, active traders, and more so, the beginner traders. Investors underground then partnered with Profit.ly (where Nathan Michaud was a trading guru). The two platforms broke away in 2015 because Nathan Michaud wanted to build up and fine-tune the biggest online day trading platform where traders of all skill levels can benefit from. There are many advantages of chatrooms. Unlike most day traders who subscribe to live data, streams, newsfeeds or various scanners as trading tools, once you subscribe to it for a month or two, you’ll realize that you could replace half of those tools with a chat room alone. A chat room is not only filled with new traders trying to get to grips with day trading, but also harbors many well-trained day traders in a single community because of the speed, and accuracy that you wouldn’t find on any other trading platform. Some of the most popular day traders you will find here besides Nathan Michaud include Tim Grittani and Eric Wood. The main reason why Investors Underground has grown rapidly is that it has 11 chartroom moderators who know the ins and outs of day trading and are ready and willing to help new traders. 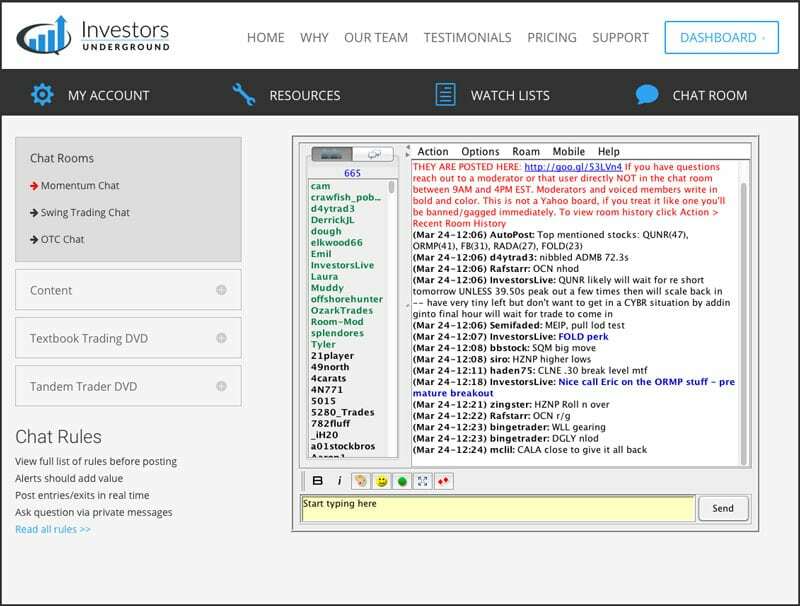 Stock Trading chat room: This is the cream of the crop of all chat rooms on Investors Underground because it’s considered the best scanning tool out there. Their day trading chat room, particularly, harbors thousands of members who offer real-time advice and invaluable instructions each day. Momentum chat room: This chatroom runs from 9am to 4pm every day. It’s frequented by other trading members; which is why it’s the most active chat room on the platform. Here, members discuss trades, as well as other things related to it. 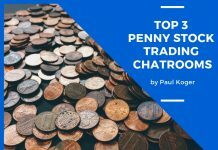 Swing Trading chat room: Swing Trading chatroom has a lot in common with Momentum chat room; it’s just that it drifts towards swing trades, which, unlike day trades, go beyond a day or a week. OTC chat room: It’s the least popular chat room on the platform because subscribers don’t really like it. The awesome part about these chat rooms is that they are meticulously managed and maintained. A couple of moderators are assigned to each one to help and assist members. Stock trading webinars: The platform holds one webinar each week exclusively for members. The webinars cover a huge array of trading topics, including short selling stocks. Members are allowed to ask questions related to trading, and the experts answer them. Daily stock watch lists: They bring you daily watchlists to help you decide what to trade the next day. Every list is distributed in such a way that it’s easier to compare and contrast multiple stocks. The good thing is that the watchlists are sent out early enough (in the afternoon) to allow you to properly prepare before the start of the following trading day. Trade recap videos: Investors Underground disseminates a few trade recap videos each week that discuss the trades made during the week. Essentially, these videos highlight the initial game plans, what the traders got right and what they got wrong. Video lesson library: Stock trading is a continuous learning process. Regardless of the number of years in the stock trading landscape, there is still a lot to learn. Investors Underground releases 2 to 3 videos every week that contain invaluable trading lessons and actual trade examples. Top-notch and all-inclusive day trading courses: The platform offers a huge array of trading courses, including chart patterns, brokers, money management and other resources that focus on stock trading. The courses also encompass blog posts, AV media, and e-courses. Nathan has made a ton of mistakes over the years as a trader and has perfected the art of trading. You’ll be in safe hands if you enroll in his training courses. With his strategies, you can’t go wrong with stock trading. Tim Grittani is a popular name in the stock trading world. He is famously known for turning $1500 of his personal savings into $2.7 million within 3 years. Due to his explosive success, he has caught the attention of and got interviewed by CNN Money, Fox News, Market Watch, and other top Financial News Organizations. Tim Grittani began trading actively back in 2011, during his last year in College, though on a part-time basis. He began day trading fulltime at the beginning of 2012. 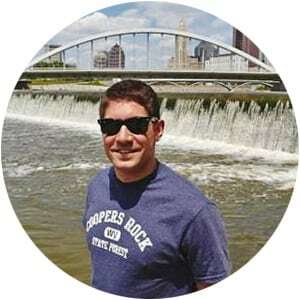 Because of his success, Tim Grittani has received a lot of questions from prospective, new and experienced traders wanting to know the strategies he used to make $2.7 million from $1500. Due to overwhelming questions and inquiries, he decided to compile a DVD course that walks people through how he did it and the important strategies he uses today. The main aim of Trading Tickers DVD course is to ensure you don’t make rookie trading mistakes and start trading like a Pro. Regardless of your position on the stock trading tree, this DVD course has some invaluable trading tips for you. The beginning of the DVD is adapted to the beginner trader. It talks about the basics of trading, such as market and trading, trader lingo, everything you need to know about short selling, and trading/ computers setups. 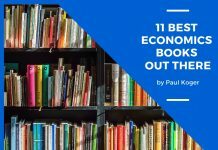 This chapter also talks about account building 101, annoying rules and regulations, psychology, different brokers to use, introduction to market scanners, useful desktop applications and more. Ideally, the Trading Tickers DVD course is chockfull of more than 16 hours of education, day trading techniques and 35 live trade examples. With this DVD, you’ll be able to see Tim Grittani’s entries, exits, successes, and most importantly, his losing trades because he believes the best lessons are learned from losses. In fact, 7 out of the 35 live trade examples are losing trades. The DVD goes for $1797, but if you master Tim Grittani’s strategies, you will recover that amount in a shorter timescale. Timothy Sykes is a big name in the stock trading landscape. He’s popular for turning $12, 415 into $1.6 million over a couple of years while at Tulane University. In fact, he became a millionaire by the age of 21 and has been featured in many TV shows, including Wall Street Warriors. 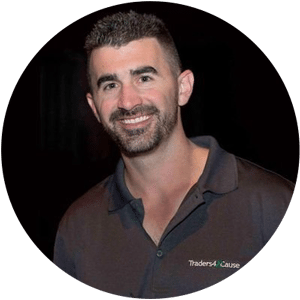 He mentored Tim Grittani to be who he is today, as well as other stock trade gurus like Jason Bond, Cameron Fous, and Sang Lucci, who have since broken away and created their own trading websites and courses. 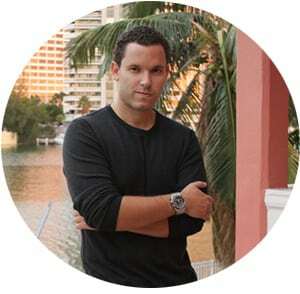 Today, Timothy Sykes works as a financial evangelist and educator. In 2009, he created Investimonials.com, a site geared towards gathering user reviews of books, videos, financial brokers and financial services. In 2011, Timothy Sykes co-founded Profit.ly, a community that offers stock trade information and lets you learn how the gurus in the stock trading world beat the market in real-time. The gurus then show you the key strategies they use in order to improve your trading. Timothy Sykes is a Penny stock advocate. His strategy is to short the stocks that are rising so that he can make profit when they come crashing back to earth. Timothy Sykes offers several trading courses, which are in the form of live streaming DVDs because they are purely delivered online. He also has a membership program that helps students to learn how to profit from penny stock trading. All subscribers to the membership program get access to Subscribers-Only Chatroom, Daily Text Watchlists, Subscriber FAQs, and Text Message Alerts. PennyStocking Silver subscribers, on the other hand, get access to IM Alerts, Weekly Video Lessons, and Daily Video Watchlists. Also, Timothy Sykes makes money through chatroom subscriptions. Subscribers to the chat rooms get real-time trade alerts. And since Timothy Sykes is mostly away doing interviews, promoting his training programs, and vacationing, the moderators run both the site, and the chatrooms. 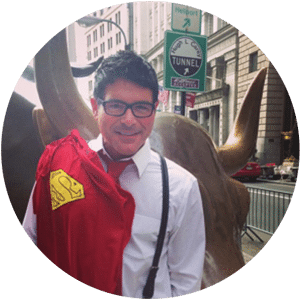 Paul Scolardi, commonly known as the “Superman of the Stock market” is a renowned stock trader, self-made millionaire and the founder and CEO of Super Trades LLC. He graduated from the Arizona State University in 1997 with accounting. 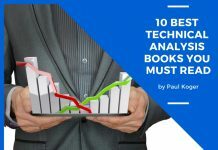 Paul worked as a Certified Public Accountant before he left corporate employment, and now, he dedicates most of his time trading and teaching his stock strategy full-time. He has a long career (over 17 years) trading and investing in the stock market. As a smallcap swing and day trader, his trading strategy lies in his natural ability to pinpoint stocks with explosive potential before anyone else discovers them. He has used this strategy to make millions over the years. Paul Scolardi is one of the four trading Gurus on Profit.ly that include Timothy Sykes, Connor Bruggemann and Matthew “Triforce” Owens. You can catch up with him on Twitter @super_trades. With over 17 years trading stocks, he has developed a training program where he teaches his students everything he knows about stock trading, including his trading styles that take into account both technical and fundamental analysis. As a member of Paul Scolardi’s training program, you can choose to either subscribe to SUPERMAN Alerts, which goes for $147 per month or SUPERMAN Pro, which goes for $247 per month. With the SUPERMAN Alerts, you get access to profiding chatroom, real-time email/SMS trade alerts, daily premarket stock watchlist, iPhone and Android App, and real-time profiding trade alerts. With the SUPERMAN Pro, you get access to a daily permanent watchlist, profiding chatroom, real-time profiding trade alerts, real-time email/SMS trade alerts, weekly video lessons, videos lesson library, iPhone and Android App, IPO tracker, premium research reports, and earnings tracker. Michele Koenig is a 50-year-old stock trader who specializes in swing and day trading. However, she concentrates on technical swing trading. She is well-known to have verified $545,000 in trading profits in one of the most popular stock trading platforms, Profit.ly. She lives in Greatfalls, Montana Area with her husband and two children. 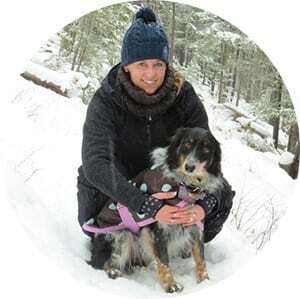 Michele Koenig graduated from Montana State University with a degree in business finance. She worked in the corporate world before she decided to quit and start trading full-time in 2001. Michele Koenig is a Swing chat moderator at Investors Underground and runs her website tradeonthefly.com, which teaches people how to trade. Her strategy is swing trading. Unlike day trading positions that only last for less than a day, swing trading positions mostly last 2 to 6 days. Some may even last for 2 weeks. It’s a slower paced trading style, which means it needs patience. Swing trading is a good option for those who want to do stock trading part-time and those who have a 9-5 job. Michele Koenig’s educational resources include Trade On The Fly DVD, as well as her own chat room. Chapter one of the Trade On The Fly DVD introduces you to the contents of the DVD. The next chapter talks about swing trading, its upsides, and downsides, what ETFs are, including examples, what technical analysis is and what technical indicators are. Chapter 4 talks about long setups, which is the direction you would like the stock to go. Essentially it talks about how to buy low and sell high. Chapter 5 focuses on short setups, essentially how to gain from the stock price going down. Chapter six is essentially about support and resistance, while chapter 7 talks about the tools of trade. The last chapter is dedicated to questions and answers. The Trade On The Fly DVD is adapted to the beginner, but traders of any other skill level can benefit from it. Michele Koenig’s manages her own chat room. As a member of the Trade On The Fly chat room, you get premium services, such as bi-monthly webinars, chatting three times a week, a private twitter feed, Trader Ledger, and a chat log. The quarterly subscription for chat room goes for $395, while the yearly subscription goes for $1495. If you want to learn the ins and outs of swing trading and technical analysis, then you should subscribe to Michele Koenig’s chat room. While the costs of these training programs are on the higher side, the trading education resources and personalized power interactions through trading chat rooms will shorten your learning curve and make you a much better trader in a matter of months. Ideally, a great trading course should equip you with a solid foundation of knowledge to build on, personalized mentoring, ability to interact with trade pros to help you break down and understand the information and put it in practice in the market. It should also provide a support system through webinars, chat rooms and emails where accustomed and successful traders show both their winning and losing strategies and help you if required. 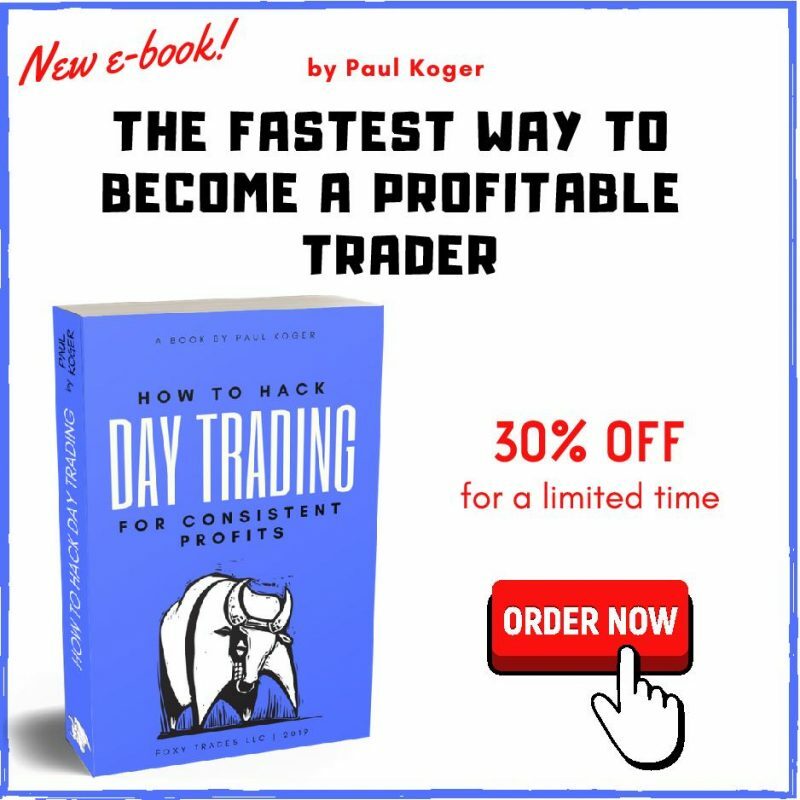 Each of the above-listed traders are successful day traders with proven strategies. You just need to pick one, whose strategy makes sense to you and dig into everything that they have to teach you. Thank you for the article, Paul. I noticed you didn’t include Ross Cameron from Warrior Trading. Might there be a specific reason? Thanks! The reason is that at the time of writing the article, I wasn’t aware of Ross Cameron and his Warrior Trading program.